We supply the TP L4G Pipe Laser for its innovative features. 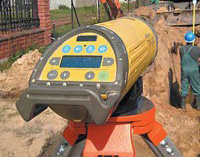 Providing the latest technology, this laser product is proven to meet the demands of contractors in the field. Why use a pipe laser? Whether in the trench or over the top, the TP L4G is the industry standard because you can see the green beam anywhere, no matter the weather or site conditions. 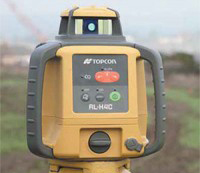 Quite simply, it’s the most visible construction laser available. The TP L4G is made from a rugged cast-aluminium waterproof housing, making it fit for virtually any worksite conditions.